Boulder Meadows Highlands is located near the center of Minnesota in the Esker area of northern Morrison County on 307 acres. The soil is productive both in the crops, grass and the rocks it yields each year, because of this rock crop each year, our farm lends itself more to the production of high quality forages for rotationally grazed fields and pasture. Our herd of 65-90 head of highlands is raised primarily for production of quality grass fed beef. 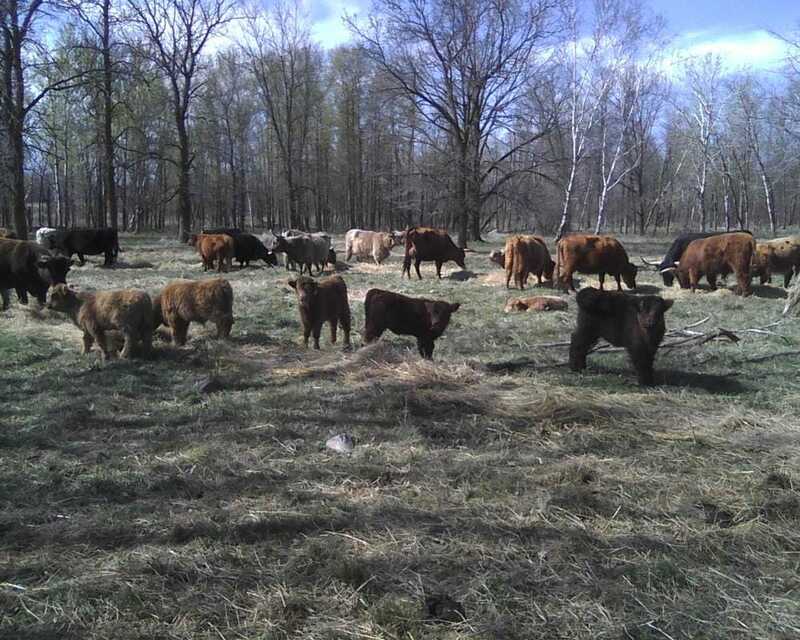 We sell 15-25 highlands yearly to people for breeding stock or production of their own meat. Our cows are calving all generally from first frost in September to mid- May, this way we avoid most of the fly season and have steers to process most of the year. Our beef is processed by a family owned and run USDA inspected facility locally. And is packaged for individual sales at farmers markets by the individual package or by quarter, half or whole animal per customer direction to the processor.